Forthcoming Auction - Stunning City & Harbour Views! Designer 3 bedroom apartment located on the 10th floor in an exclusive security building with panoramic views from Botany Bay extending to the City & Harbour views. Immaculately finished throughout this apartment is ideal for those seeking carefree living. Featuring a master crafted CeaserStone kitchen equipped with Smeg appliances, ample storage and communal rooftop gardens. - Three double bedrooms all with built in wardrobes. - Deluxe designer gas kitchen with marble benchtop & Smeg appliances. 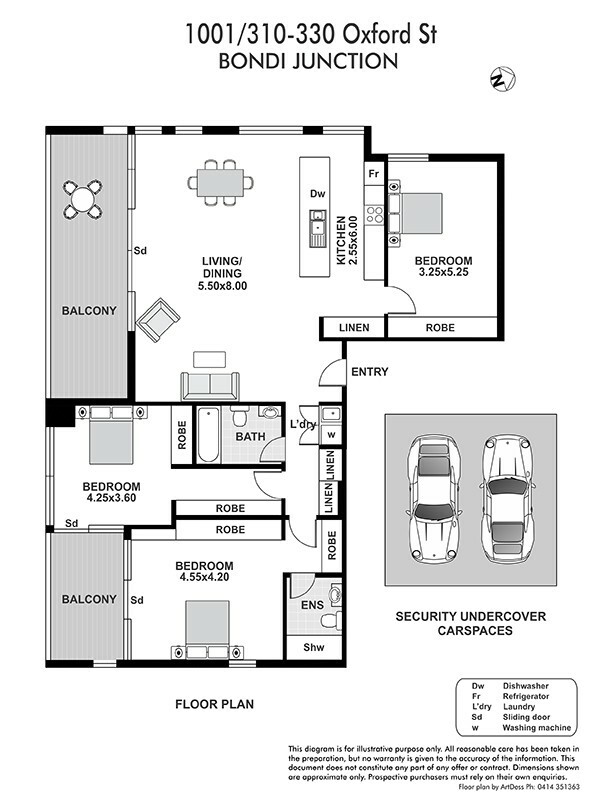 - Two undercover security car spaces; Pet friendly building. Positioned in the heart of Bondi Junction this luxury 3 bedroom apartment located in 'The Forum' designed by the renowned Brian Meyerson Architects.